Unfortunately, we haven’t had much snow since November when I took a wonderful walk in the gorgeous snow. Here’s another photo from that walk. Think you’re seeing double? Don’t worry, you are. There’s a gate that’s pulled back in the mornings at sunrise, although you can easily get around it if you like. (Don’t ask me how I know that!) 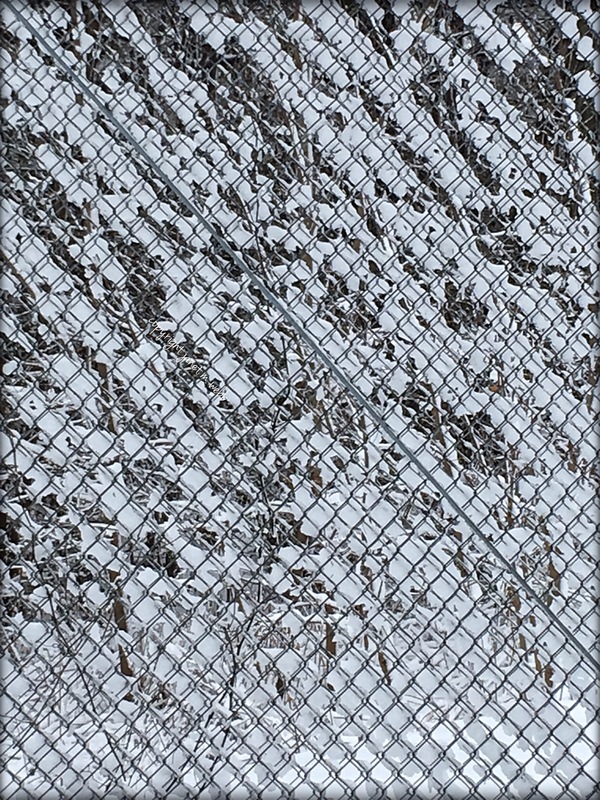 I love the way the snow fills in the openings in the fence, creating a sort of black and white abstract. Monday we had what was being called a blizzard here, but seemed more like a snowstorm to someone who lived for over 30 years in Cleveland’s snow belt. 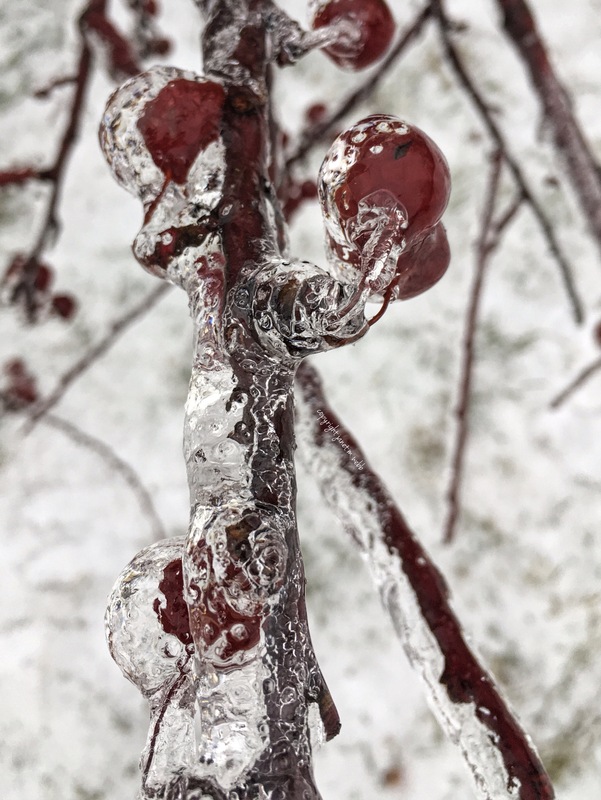 No matter what you call it, it left us with about 6-7″ over that heavy snow that looks beautiful but breaks branches and brings down power line. It brought beauty to the park. I spent 2 1/2 hours wandering and wallowing in both snow and beauty.